Hey! I'm Aryaman and I am an international student studying software engineering. I am a competitive basketball player with keen interest in running and abseiling and pretty much almost every sport. I also loves to drink tea, and talk about anything but politics. I really enjoyed my time as a member, and so I would like to give back the warmth, guidance and kindness that I received as a member. Hey everyone, I'm just a coloured haired boi in his final year of a Bachelor of Science degree, majoring in developmental biology. If you want to give me a free corgi and food, we will literally be the best of friends. I have an interest in gaming, reading and I often play netball, but as of recent, I've picked up knitting and crocheting. Looking forward to meeting all of you this year and don't feel afraid to come say and hi and ask where the best places to sleep are on campus!! I'm Brittany and I'm a third year engineering and science student. My hobbies include playing tennis, reading, travelling, cooking, growing veggies (well attempting...) and hanging out with friends. My go to fun fact is that I'm a great aunt - I know right whhhaaattt!! I'm also quite the joker which means I laugh a lot. My top tip to new students is to make the most of the events and opportunities that Monash offers as this is the best way to really get involved in the community. Also, don't be afraid to ask for help, that's what we are here for! Hi everyone! I'm Caitlin and I’m in my second year of Bachelor of Science/Law, majoring in microbiology. I love reading and have a keen interest in a variety of TV shows from Doctor Who to The Good Place. I'm really excited for my first year as an advisor and I’m always up for a chat so don’t hesitate to say hi if you see me around! Hi, I'm Chen. This is my second year studying banking and finance at Monash. In my spare time, I like to work out in gym or play Pokemon Go. I also love watching movies and swimming. If you need a sport partner, I am here. I know it may take some time to get used to campus life so If you meet some problems, feel free to contact me. Hello! I'm Clarissa. I'm 3rd year Commerce student, majoring in Accounting, minoring in Sustainability. I love dodgeball, music and singing. I have interests in cooking, baking and zero waste. Being away from home, NRC has been such a supportive and inclusive community and I hope to be a part of that. And so, hit me up for a chat about anything. I'm happy to help where I can. Hey, I'm Dan. 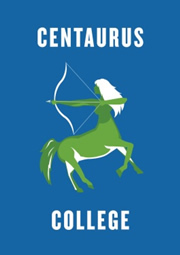 This is my third year as an advisor for Centaurus college and somewhere around my fifth year into a Science / Arts double degree. I'm studying psychology now and aim to be a social worker, but it might take me a little while longer. In my spare time I like to play netball, work on my car or just relax with Netflix or video games. I'm excited to meet plenty of new faces again this year. Heyo! I'm George and I'm currently in my 2nd year of Bachelor of Radiography! It's a pretty small course so I rarely get to meet new people inside my course so that's why I'm in the NRC, to meet all of you new people! My main hobbies are watching movies, playing console games and trying out new food in my life! However, I'm a pretty flexible person and happy to be tryout other people's hobbies as well. My favourite thing to do is to read supermarket catalogues and get a good deal with I buy stuff and no this isn't a shopping addiction! This is just taking the opportunities that appears in front of you. For all the new students, this is the most important skill to have a great university life, to grab those opportunities and put yourself out there! Hey! I'm George and I am a 3rd year Commerce student. I love fitness, going on road trips and exploring the great outdoors. Having been a part of NRC in the past 2 years, the experience has been rewarding in so many ways. I'm definitely looking forward to having another memorable year with everyone! Hey I'm Imtiaz, but you can call me Redoy and I'm currently studying IT. I like reading, video games and a bit of badminton. I've recently gotten into tabletop roleplaying. I'm a recovering anti-social person so, I would recommend finding a club and sticking with it because, Uni can be boring without friends. Hi, I’m Janice and after studying for a bit in Malaysia, I’m now here, studying Bachelor of Commerce. I like to read books and play video games and play piano. Non-Res is the perfect opportunity to get me to break out of my shell, put myself out there and make new friends so I definitely look forward to being an advisor this year and meeting everyone. Hey what's up guys? I'm Jordyn but you can call me Jordi, & I am a third year science/arts student majoring in criminology and physiology. I'm very excited to be returning as an advisor this year and joining NRC was by far the best decision I've made when I came to Monash. You'll probably see me kicking a futsal ball or soccer ball around when I can be bothered or I'm spending majority of my time on the internet (that's considered a pastime or hobby I guess). If you ever see me around campus definitely come up and say hello, always up for a chat to get me out of studying lol. Hi all! My name's Julie and I'm making my way through a Science and Arts Double Degree where I'm majoring in Environmental Science and Human Geography. I came over to Monash from New Zealand to challenge myself and my independence. I enjoy sports, music and nature, and I have an uncanny ability to marathon TV series. For those coming to Monash for the first time, make the best of the experience by joining clubs and societies that you're interested in! It's a great way to make friends who have the same interests as you, and are a way to help relieve some of the stress from everyday life. Hey my name is Max, and I am doing my Masters of Teaching in early childhood education, but I will try hard not to treat you as babies! That is to say, I'm basically interesting, funny and considerate, as long as you don’t rob me of my ice-cream! I'm into musical instruments such as guitar and keyboard and like to go jogging after sunset. I'm also interested in different cultures and foods so you are most welcomed to talk about them with me at any time. Hi I'm Priya, and I'm currently studying Biomedical Science. Most days, I'm usually binging on netflix after gym or when I'm done catching up on my lectures. I also love the outdoors and nature and enjoy participating in sports. I loved being part of the colleges last year as a member and can’t wait to give back this year as an advisor. Hi! My name is Soorya and I'm my third year of my Commerce and Arts degree and my second year as an Advisor for the NRC colleges! If I'm not at uni or at work I'm most likely watching movies or playing Super smash bros (not that I'm great at it or anything). Hoping to meet a lot of new people this year and hanging out with you all. Hey! My name is Sophia and I'm in second year studying Arts. I'm majoring in Theatre and minoring in Criminology! I grew up in the Middle East for most of my life but I'm half British half Filipino. I really love playing volleyball and I'm a huge true crime junkie. I'm also a huge fan of conspiracy theories so if you're a fellow flat earther hit me up! Just kidding, I'm not a flat earther... or am I??? I really enjoyed my two years as an Orion member and I can't wait to be an advisor. Don't be shy to say hi to me around campus and I hope you enjoy your time in the colleges!! Hey! I'm Tim. I'm a relatively reserved person until I get comfortable with a person. I enjoy doing cross-fit, biking, photography, travelling, cooking and pretty much any and all sports. I'm also very fond of Anime, video games, and milk tea (but really, I'm really fond of milk tea). I had such a great experience as a member last year, often looking forward to coming to uni. Now I look forward to becoming an advisor and giving that same experience to others. Hi I'm Yueqi! I have just finished Bachelor of Science (Psychology) and entering to Master of Counselling. I love trying new things and I'm always curious about how the world works. I have been to many places (e.g. Argentina, Sri Lanka). I like going out with friends and planning for road trips. I also like being a coach potato, just sitting down and watching TV series with food. I'm really excited to join non-residential college and making friends with all of you! "To a valiant heart, nothing is impossible"